This rack is for turning. All magazines have a metal frame to assure stability and stackability. The side panels are made of plastic and come with a gear track system for easy and fast width adjustment. All AdoptSMT Standard PCB Magazines are ESD compliant and heat resistant up to 80˚C board temperature. All racks have 50 slots with a 10 mm pitch. 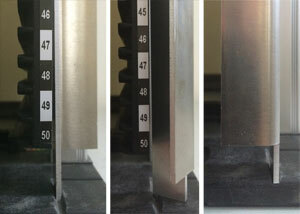 AdoptSMT Standard PCB Magazines with height 563 mm are ready for reversible use. 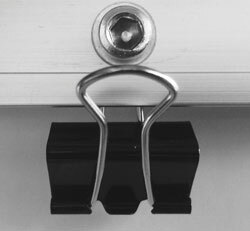 New stopper bars with spring are easily ‘clipped’ inside the rack. No clattering. No falling out. This makes all racks of height 563 mm compatible for reversible (“upside down”) use. No more counting is what counts. All slots are numbered from 1 to 50. Handles on top and bottom makes flipping the board easy. Plastic coverstake care of your comfort and safety. Parallelism of the adjustable sideboard is ensured by synchronized gears. A centered handle on the outside ensures easy width adjustment. New, more reliablefixing clips for better durability. AdoptSMT PCB racks are shipped partly assembled. Assembly service is offered for EUR 25.00/rack upon request. Please consider increased freight costs for shipping assembled racks. All magazines have a metal frame to assure stability and stackability. Top and bottom boards are made of plastic.The side panels are also made of plastic and come with a gear track system for easy and fast width adjustment. AllAdoptSMT Automotive PCB Magazines are ESD compliant and heat resistant up to 120˚C. All racks have 50 slotswith a 10 mm pitch. In order to meet the ESD compliance requirements of the automotive industry, top and bottom boards are made of plastic. The stackable M03PS model has a seating on top for easy and safe stackability. Your PCBs are safe via full height locks on each side. Automatic lock detection is possible via loader/unloader sensor. Clip any card or other information onto the side of the rack. AdoptSMT Automotive PCB magazines are heat resistant up to120˚C board temperature. 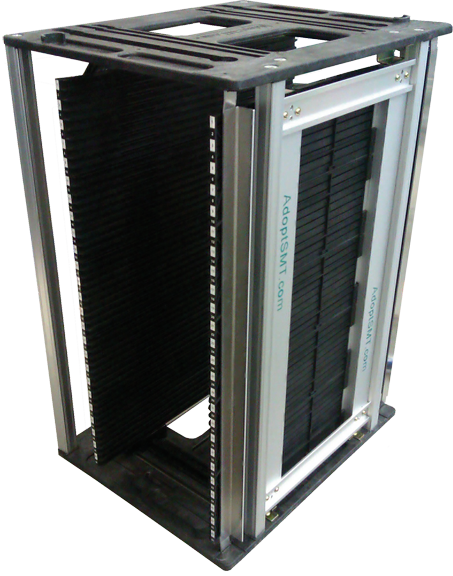 AdoptSMT PCB racks are not supplied fully assembled. Assembly service is offered for EUR 25.00 per rack upon request. Please consider increased freight costs for assembled racks. 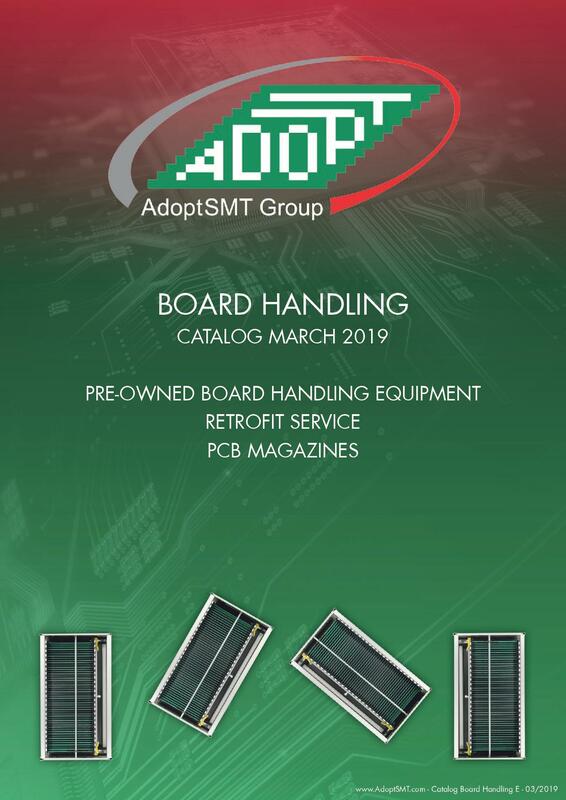 AdoptSMT Premium PCB Magazines for automatic loaders and unloaders, also for automotive.